I chopped up some veggies two nights ago - some for consuming, some for freezing. I also put some ice cube trays in the freezer. This morning I discovered, upon taking a sip of my drink, the most peculiar thing. Yeah, don't freeze fresh onions and make ice at the same time - it will not end well. 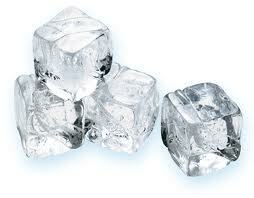 Hmm...are there things you COULD freeze at the same time that would make for tasty ice?